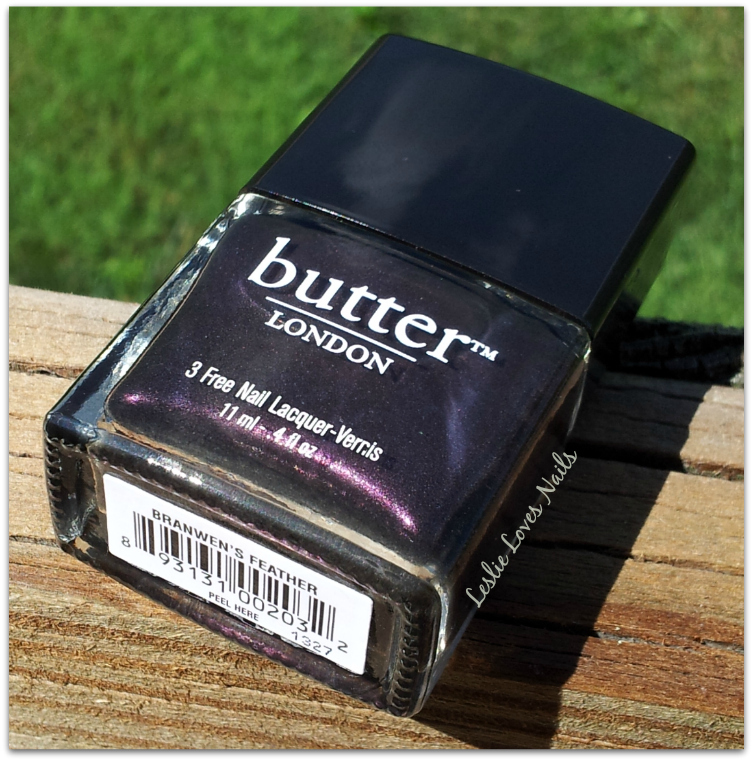 Today’s polish is from butter LONDON and it’s called Branwen’s Feather. It’s a lovely deep purple/aubergine that has a subtle silver and bluish shimmer. For this manicure I used Seche Rebuild as a base, two coats of polish and one layer of Cult Nails Wicked Fast on top. It dries to a nice shine on its own, though, and does offer full coverage in two coats. Application and drying time were good, this definitely not a runny or thick, clumpy polish.